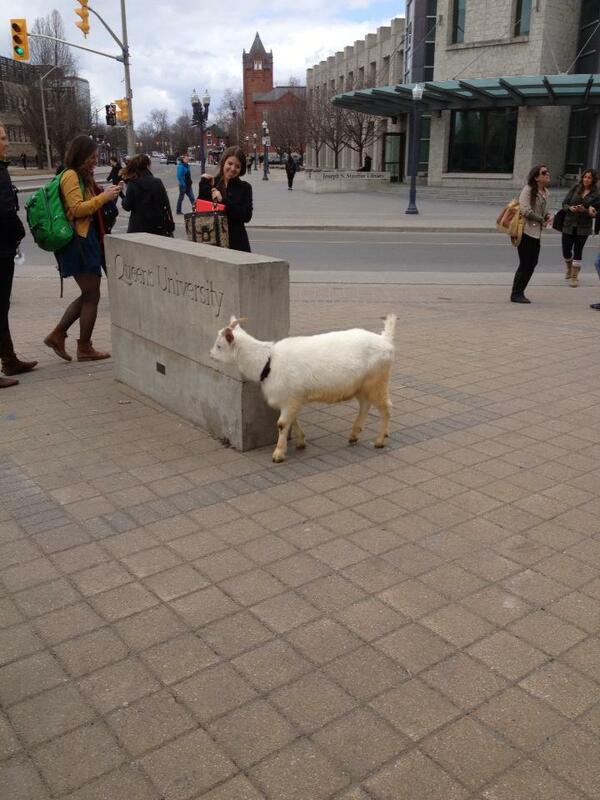 33 Signs You Go To Queen's University, In Kingston. As told by a 4th year biochemist. 1. You feel the need to tricolour everything. Even your wardrobe. Because tricolour is now your new fashion necessity. ...but the urge will overwhelm you. And eventually, you'll be like unicorns that poop rainbow. Except, instead of passing 7-coloured turds, you bleed tricolour. That's right. Normal humans have red blood cells. Here at Queen's, we have the additional yellow and blue blood cells. Mutant, and proud. 2. 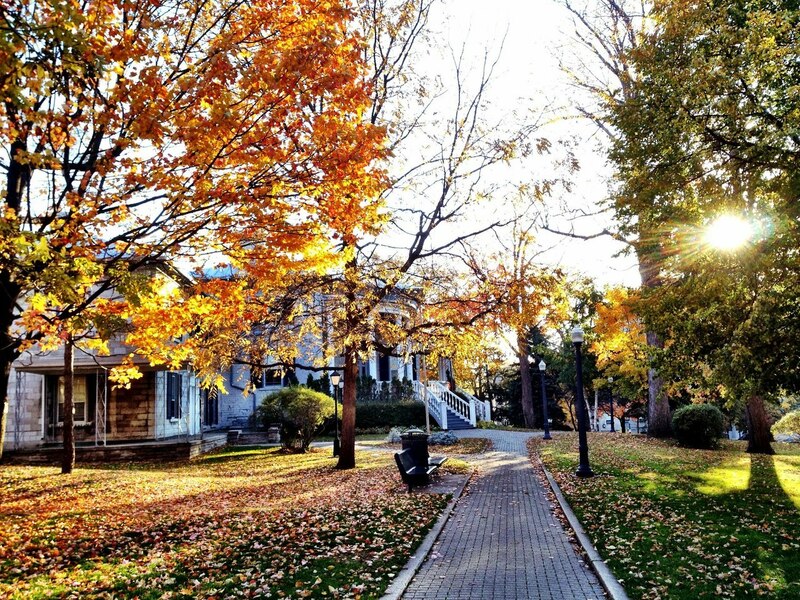 You appreciate the beauty of the campus, especially during autumn. The place looks absolutely magical. 3. You were covered in paint, dirt, shaving cream, mud, sweat, and lots of Queen's spirit during frosh week. Good luck washing them coveralls. If that ever even happens. You also had to resist the urge to rip these off your wrist. 4. You've witnessed some crazy things involving the Commies. FYI that was -30°C during winter. 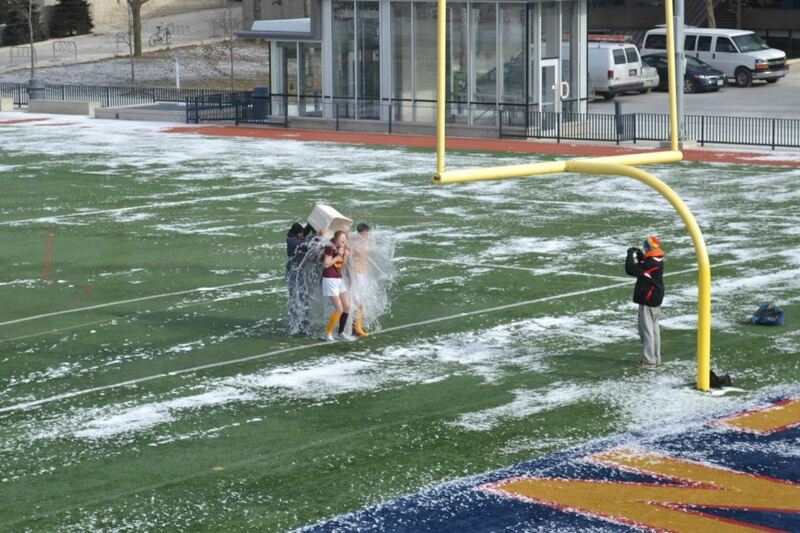 ALS Ice bucket challenge before it was cool. 5. You've seen herds of purple creatures emerge during orientation. If confronted by one, just smile and compliment their hair. These beings are generally benign in nature, and can be easily lured in by anything purple. Here, hundreds of purple creatures (aka. engineering students) gather around in mud to retrieve a tiny item at the top of an oily pole. The tiny item is actually a tam. And the grease pole is, well, a pole that's greasy. Because it's coated with oil. Legend has it that this grease pole is a metal football goal post stolen by Queen's engineering students in 1955 from the University of Toronto's Varsity Stadium. 6. You're accustomed to the "Jacket Slam". Here is a sighting of said ritual. 7. 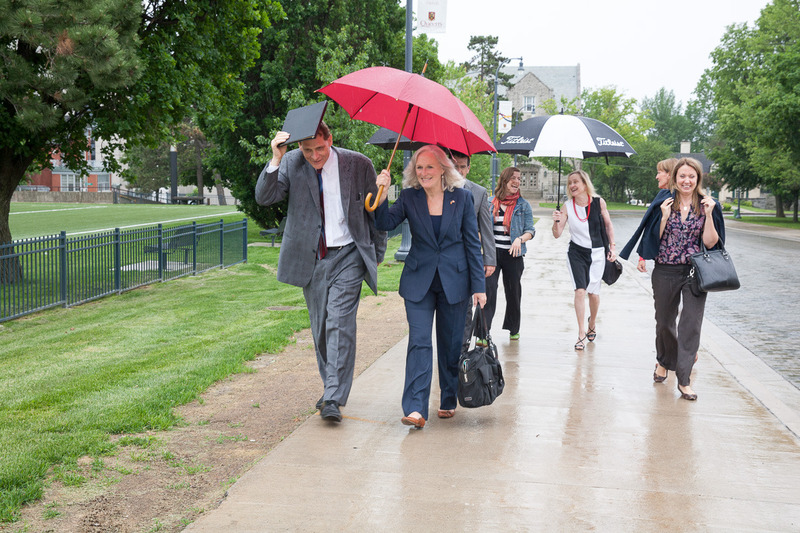 You know of the on-again, off-again relationship between Queen's and its Homecoming event. For those of you who haven't heard, Queen's Homecoming returns this October! 8. You know this hypnotist. 9. You've seen this white rectangle frame thing but have no idea what it's for or why it's there. The "Big White Frame" is actually constructed out of steel in 1978 by Canadian artist Peter Kolisnyk and the frame was originally installed at Harbourfront in Toronto. Passersby were able to stop and see Lake Ontario and the surrounding harbour through its frame. Read this if you're curious. 10. 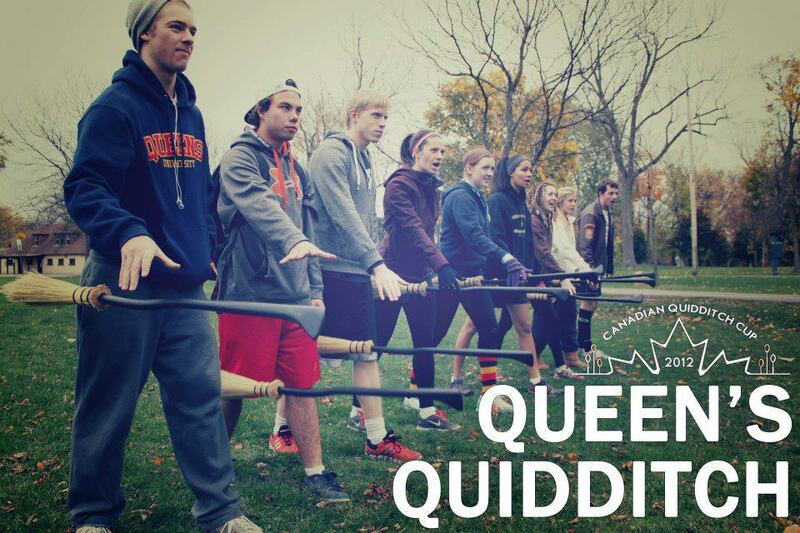 Deep down, you know Queen's is really Hogwarts. 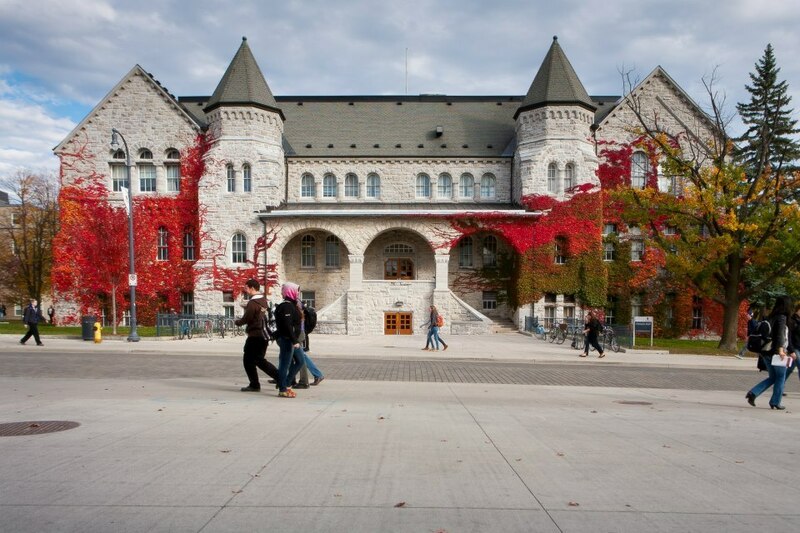 There is documented proof: Hogwarts Castle Acquired by Queen's University. We have our very own castle in England. There's even a course on Defence Against the Dark Arts! Well, almost. 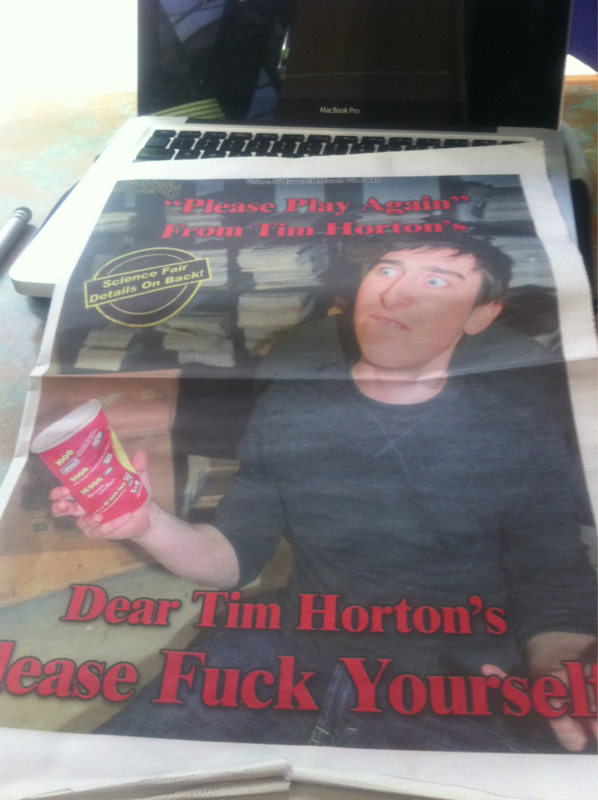 And this is totally a real thing. All muggles and wizards are welcome to apply here. Yes, we do have a Harry Potter Room. Calm down, children. Everybody knows where it is. But if you're a newcomer, go forth and find thy way here. 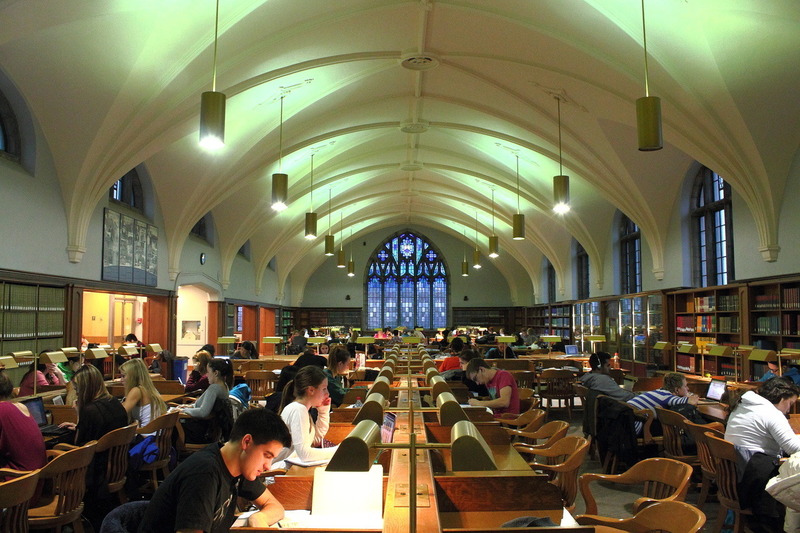 Every year, muggles of all houses fill this room in hopes of studying for their O.W.L. 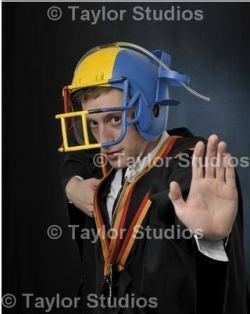 exams. 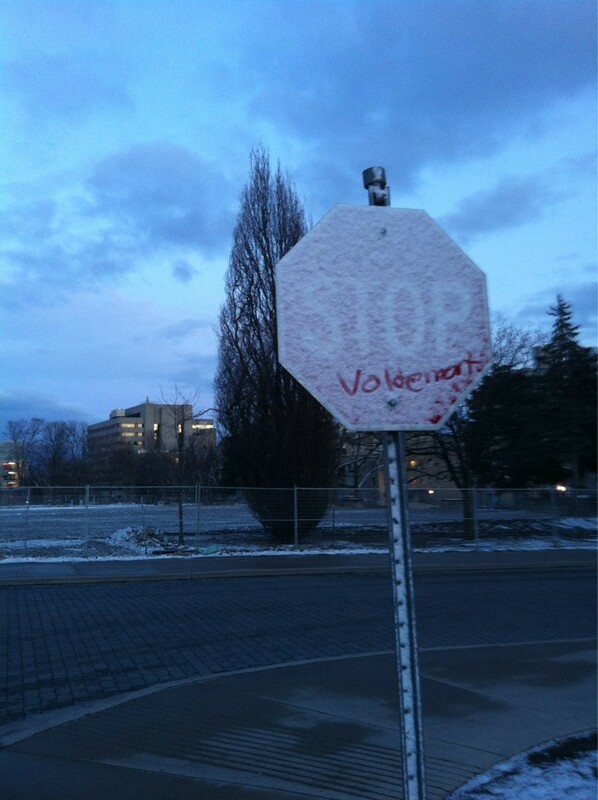 Here, some muggles have completed their exams and are waiting for the Knight Bus to take them home. There's also been talk of a newly opened Room of Requirement. We too, were under the wrath of the Basilisk. We showed our support for Dumbledore's Army. 11. 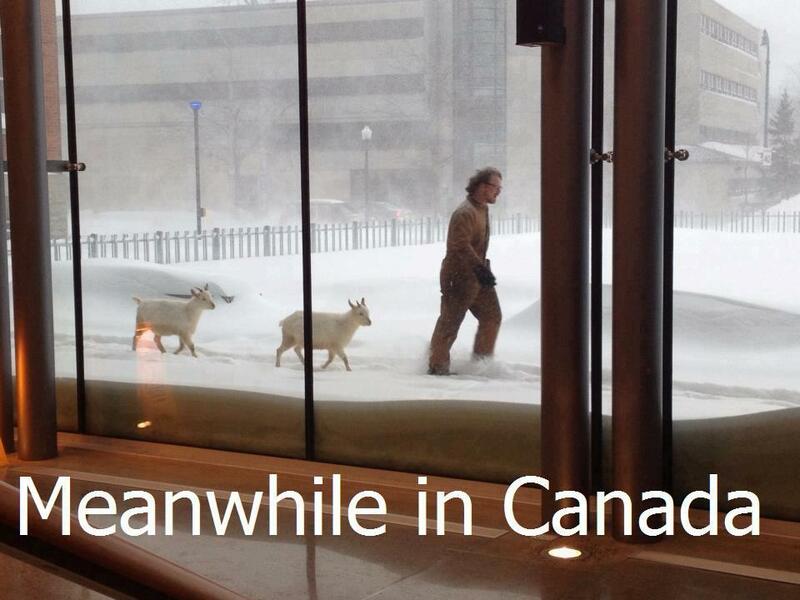 You've seen/heard about this bro and his goats. Bonus if you got to pet the goat. 13. You can locate the buildings you've had classes in or lived in when you were in rez. 14. 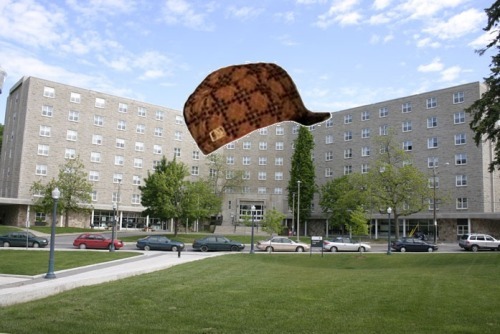 If you lived in residence, you'll probably understand why this building has this hat. ....and you've also been woken up in the middle of the night/morning/afternoon because there was no fire. 15. You were walked home by Walkhome. 16. You've see these squiggles on the Agnes Etherington Art Centre's wall, and stopped to contemplate its meaning. Once. Read here to find out more about "the squiggles on the wall". 17. You've also seen these rocks that were, oh idk, maybe possibly actually the Easter bunny's gallbladder stones. But I kid. These "big weird rocks" are meant to draw your attention to the history of the universe. 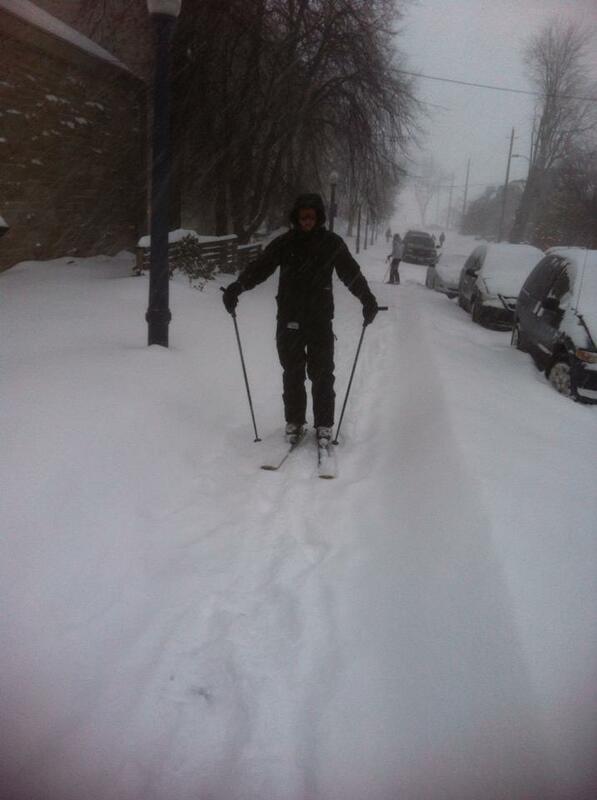 On the bright side, you get to ski to class! 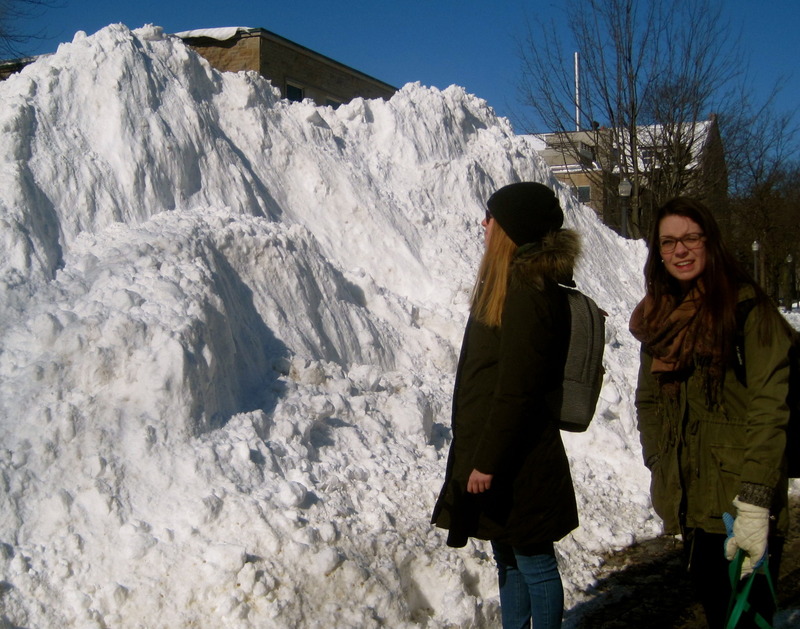 Sometimes, students get confused by the sudden overnight appearance of small snow mountains. But fear not! Your friendly neighbourhood snowman-turned-scientist is here to save you from the avalanche. 19. Every year, you brace yourself for the battle when open enrolment begins. 20. You "did not" touch this pendulum every time you walked past it in Stirling hall. 2016 Update: Someone reunited this tiny wrecking ball with a miniature Miley Cyrus. 21. You were mildly disappointed that you didn't get to personally witness/participate in these viral trends. And when a bunch of people raised their books to raise your glass. And when everyone was Happy and clapped along. Did you catch Principal Woolf's moves? 22. You will always hate "Please Play Again". 23. You're somewhat confused by these Mean Girls references. 24. Occasionally, the cafeterias dress up all fancy for certain events. That's when you willingly go there to eat because you know they'll serve good food. Maybe. There was also this one time when a ninja ice cream thief appeared in Ban Righ. 25. You most likely, probably, definitely did not know that Harrison-LeCaine Hall was built to resemble a piano. Yes, it's an actual building on campus. The home of Queen's School of Music. 26. You know the true nature of the Kingston squirrels. One does not simply mess with these little furry ninja killers. 27. You're totally cool with seeing horses trot around on campus grounds. As long as they don't leave behind piles of steaming crap. 28. You get irrationally excited about this. 29. 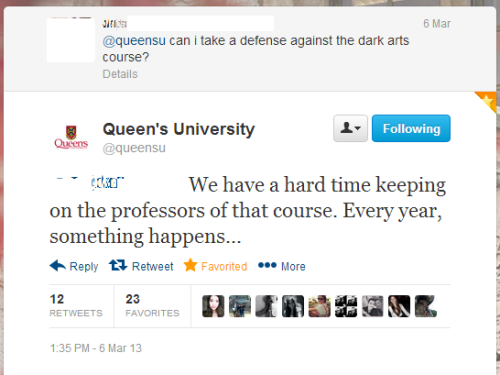 You know of the long-standing feud between Queen's and this other university. 30. You don't really know why 29 is true. 31. You own one of these. 33. You mumble the lyrics to Oil Thigh and wait for your chance to sing the only phrase you know: Oil thigh na Banrighinn a'Banrighinn gu brath! 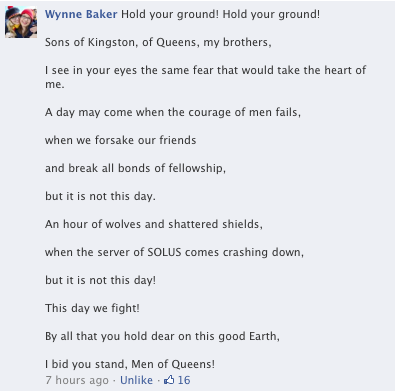 See the full lyrics here. There you go folks. Hope you're excited to be back at Queen's this September. 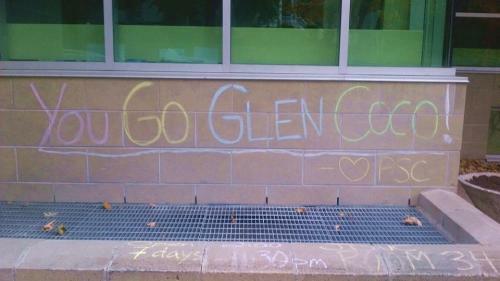 And a warm welcome to all frosh! 2015 UPDATE: Send the author a message and keep this post going! The author of this article has now graduated from Queen's, but would like to continue adding new and interesting updates to the list. So if you have any suggestions, feel free to leave a comment below or send me a message here.